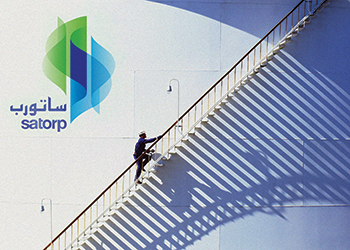 The second phase of the Saudi Aramco Total Refining and Petrochemical Company (Satorp) development in Saudi Arabia’s Jubail Industrial City remains viable despite the current low oil price environment, says Jean Viallefont, vice president for Asia at Total. Saudi Aramco and Total are currently studying potential synergies at the existing site for the addition of a mixed-feed steam cracker, which would use refined product from the refinery to produce petrochemicals. The study comes as the Middle East refining sector seeks to further integrate itself into the downstream to increase efficiency and diversify production to more value-added products. The 400,000 bpd Satorp refinery started operations in July last year. Since the middle of 2012, the partners have been in talks with Sadara Chemical Company, a joint venture of Aramco and the US’ Dow Chemical, for the expansion project. The $20 billion Sadara petrochemicals complex is currently under construction at an adjacent site to Satorp and is due for completion later this year. Satorp, Total’s joint venture refinery in Jubail, Saudi Arabia, reached its full operating capacity of 400,000 barrels per day (bpd) in August, just one of a series of big, complex refineries ramping up. The Satorp refinery, which France’s Total operates in partnership with national oil company Saudi Aramco, has been operating at its maximum rate since August 1, 2014, Patrick Pouyanne, president of the refining chemicals division at Total, says. "Less than 6 per cent of its output is going to Europe," he added. "This plant is mainly sending its products to the Middle East, Asia and East Africa." Total previously indicated in a March financial filing that it expected Saudi Aramco Total Refining and Petrochemical (Satorp) to reach full production around the middle of 2014. Looking ahead, Pouyanne says he did not expect Satorp to send more than 10 per cent of its products to Europe in future. European refiners are concerned they will face increased competition from new refineries coming onstream in the Middle East and Asia, although some Chinese projects have been put on hold or cancelled. Total has already indicated that it would like to reduce its refining capacity in France, where it currently operates five plants. In Italy, Eni is also considering rationalisation, stating in early August that it wanted to cut its refining business by more than half. Together, Satorp, Yasref – Saudi Aramco’s joint venture with China’s Sinopec in Yanbu – and a capacity expansion at Ruwais in the UAE, are expected to add more than one million bpd of refined products to the market, with a strong focus on middle distillates. Satorp says it had obtained an SR2 billion ($533.33 million) loan from the state-affiliated Saudi Industrial Development Fund. The company says it expected to draw the 7.5 year loan in a single disbursement on or around August 28. In May 2006, Saudi Aramco and Total signed a memorandum of understanding to develop the Jubail Refinery and Petrochemical Project in Saudi Arabia. The project entails the development of 400,000 barrels per day (bpd), and will be the first plant built in Jubail Industrial City 2, located in the east coast of Saudi Arabia. Meanwhile, Satorp has started a new in-house feasibility study for the construction of an integrated mixed-feed cracker that will produce 4,110 tonnes per day (tpd) of ethylene and 1,370 tpd of propylene. The approximately $7 billion project is part of phase two of the Jubail export refinery expansion scheme.